which are rare even in Japan. 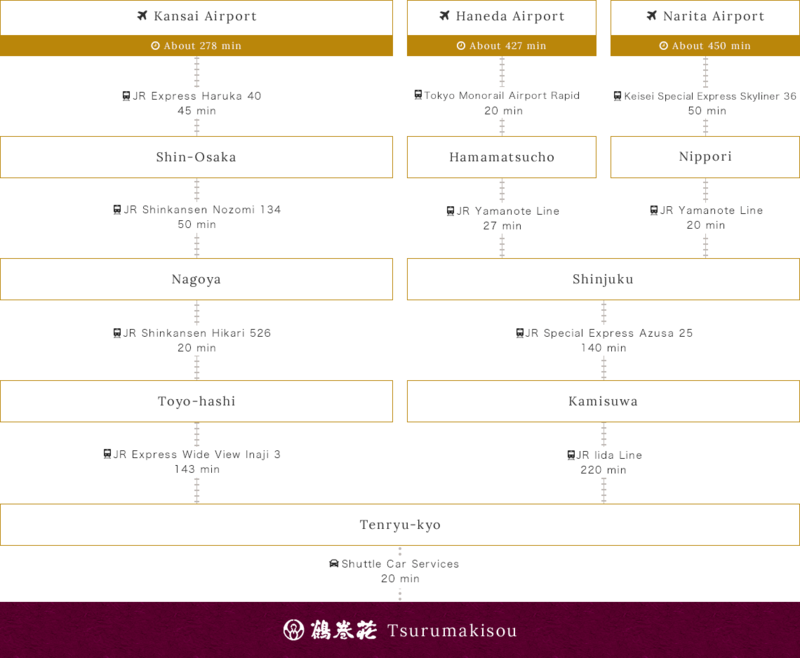 Our shuttle services is available only to guests. 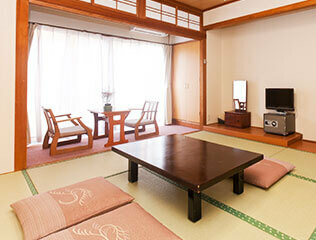 We take pride in ozashikiburo (baths with tatami floors) which are rare even in Japan. It is slip resistant, and guests will not injure themselves even if they slip. It is safe for the eladerly and children. The hot spring has a smooth and silky texture. It is praised for warming up the body well and smoothening the skin. It is also one of the few drinkable Higugami Hot Springs. 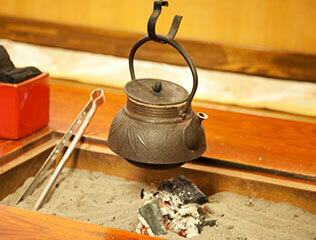 Guests can experience the benefits of the Higurgami Hot Springs from within their bodies. There are affordable rooms as well as special western-style rooms which come with a hot spring bath. We have prepared various types of rooms to fulfill the needs of our guests. Tsurumakisou’s standard Japanese-style rooms. 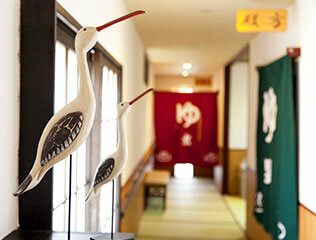 Toka-an is a special western-style room which has a modern Japanese design and comes with a hot spring bath. Twin rooms with tatami beds are complete with toilets for people in a wheelchair. Please have a taste of a somewhat reminiscent local cuisine and the current trend, the Shinshu ingredients. © 2017 TSURUMAKISOU. All Rights Reserved.